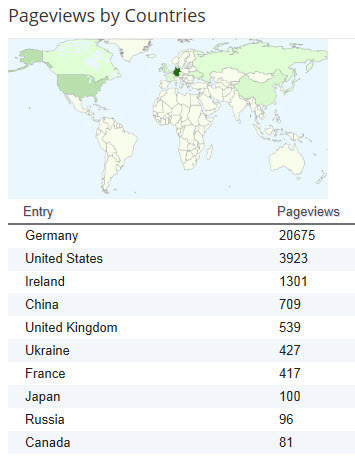 I'd like to welcome the almost 20,000 Germans who have viewed this blog over the past few days. Since Wednesday, the normal number of daily views of around 400-500 has shot up. 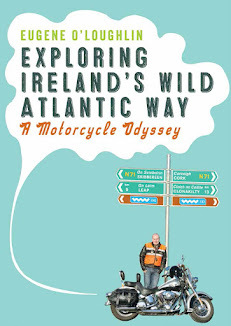 Wednesday is also the day the Anglo Irish Bank tapes scandal broke, so I'm sure it is not a coincidence in that suddenly Germans found my blog interesting? The graph shows the sudden peak, but Google Analytics does not yet show what individual posts the Germans are viewing. Below are the top ten page views by country, Germany almost never features in this list, and normally the US and Ireland are at the top. I do not blog about the feckin' banks, but I have mentioned former Taoiseach Brian Cowan in a few posts when remembering our school days in Roscrea - the first of these posts was Who's that beside Eugene O'Loughlin? No matter - whatever you are reading, all Germans are welcome here!